I'm definitely making a first visit next year for sure! With the new additions and resort coming next year, I'm sure this would be the time to go! Thank god! Those damn windows would cook you to death in the Florida sun. The time has finally come: I'LL BE VISITING LEGOLAND FLORIDA FOR THIS THE FIRST TIME ON 4-24-17! It might be geared towards children, but I'm sure to have fun! A trip report will be following afterwards. Keep on the lookout! 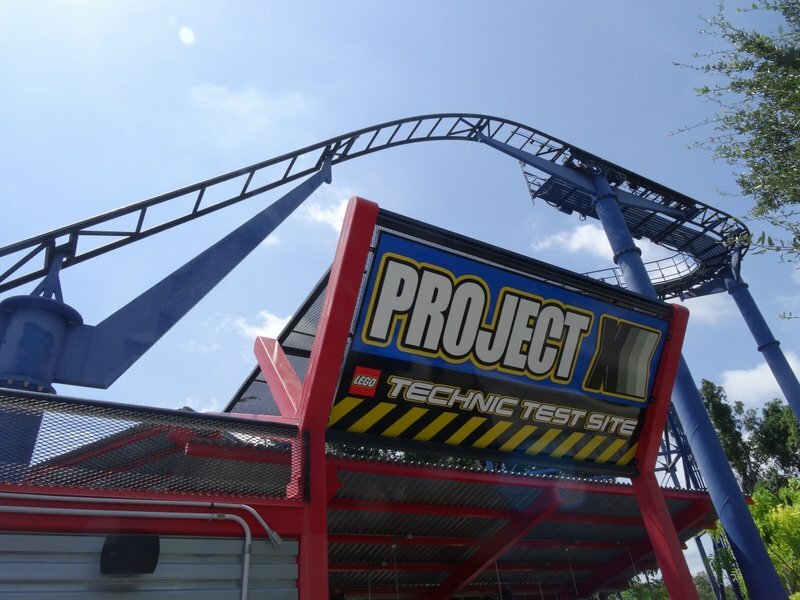 Merlin Entertainments Group has sent us a press release announcing the transformation of the Project X roller coaster at Legoland Florida into The Great LEGO Race VR Coaster. 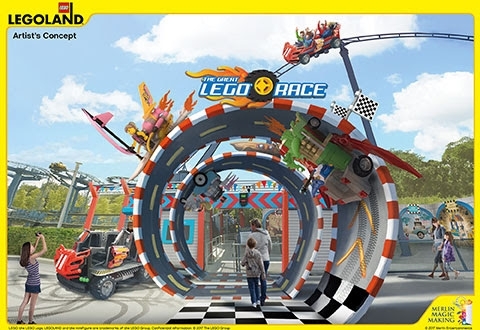 Prepare to take a ride on the wildest LEGO® race ever imagined when cutting-edge virtual reality technology combines with roller coaster thrills in an exhilarating new attraction opening in late 2017 at LEGOLAND Malaysia Resort, followed in 2018 at LEGOLAND Florida Resort and Germany’s LEGOLAND Deutschland Resort, UK parent company Merlin Entertainments Group announced today. 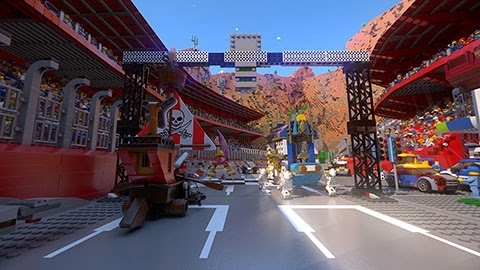 Featuring a colorful lineup of racers drawn from the ranks of the popular LEGO minifigure mystery assortments, The Great LEGO Race pits riders in a rollicking race against wild, brick-built contraptions driven by Trendsetter, Pharaoh, Surfer Girl, Wizard and Pirate Captain, including a rocket-powered surfboard and a stylish scooter fueled by espresso. Wearing VR headsets, guests will experience the action from every direction – up, down, forward, backward and all points in between – in a dazzling environment where everything is made of LEGO bricks. During the ride, Bluetooth technology will sync the virtual visuals with the roller coaster’s twists, turns, drops and climbs, creating an all-new experience filled with thrills, spills, surprises and humor – an experience only LEGOLAND could create. 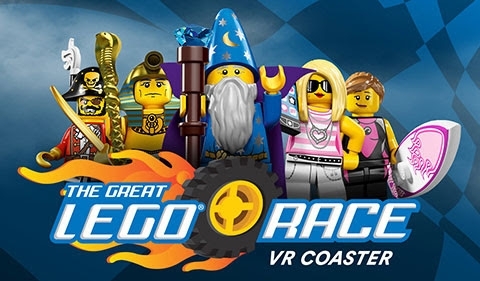 Guests can choose to experience The Great LEGO Race with or without the VR headset. A preshow video will demonstrate the experience with side-by-side views of the physical coaster track and virtual reality environment. Its gentle thrills and amusing storyline are intended for children ages 6 and up. Children under the age of 6 that meet the ride’s minimum height requirement may ride without the VR headset. Last edited by jedimaster1227 on Tue Sep 19, 2017 7:17 am. No Rocket Racer? Legoland, I'm disappointed. If you ever find yourself saying, "I like Wild Mouse Coasters, my only complaint is that the capacity isn't quite horrendous enough" then this one's for you! Ugh...when will this VR thing finally die!?!? Seriously! I was really hoping parks would stop doing this once they saw what a disaster it turned out to be capacity wise. Plus, I don't think the VR adds anything of value to the ride experience. If anything, it makes the ride experience worse due to the headsets being uncomfortable and not being able to see the ride elements. I like to read TPR with my VR goggles. The sarcasm is easier to see. I seriously want to know what kind of drugs the people at Merlin are on lately. Dear God.